1. Cook and post between 1st and 30th of November, 2008 - please do not relink earlier posts. 2. Send in any vegetarian dish (No eggs) as long as the end product has hues of purple, black or both! 3. Raw vegetables are not allowed except if used as such in salads or juices etc.! 4. If your food is cooked from any other blog or site please link your post with the name of the blog/site rather than 'here'. 5. Please link your post to this post announcing the event. Here we go - this time down to earth..no red carpet rolled out for my dear friends... just walk in with dust on your feet - sometimes getting your feet muddy makes you feel most alive - if green is the colour of youth, red of vivacity, brown is life itself! Brown is the soul, the crust, the real you!! 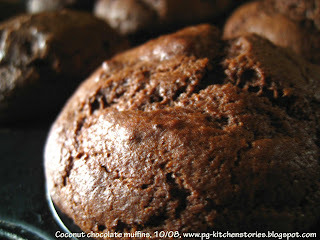 How about indulging in some brown therapy for your tummy? 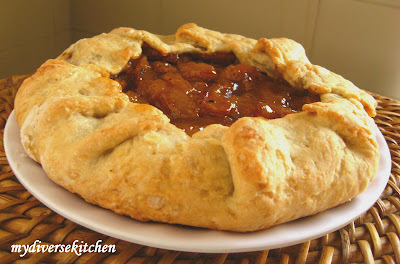 Aparna of 'My Diverse Kitchen' is bitten by the baking bug, and hot from her oven comes a tasty pear galette! Savor the look or just go ahead and bake one. 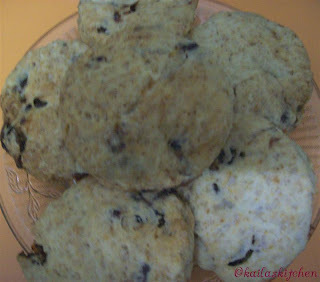 Arundathi's Whole wheat pancackes speak of the goodness of wheat, buttermilk and brownsugar and her inspiration for these is her namesake - Arundati of Escapades! 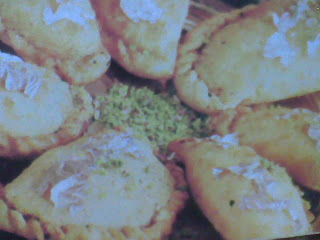 Somehow these remind me of Indian Crumpets! Probably it's because of the dollar size? Look at the syrup oozing...ummm! Last time Bharti talked of ecological footprints in her green post. 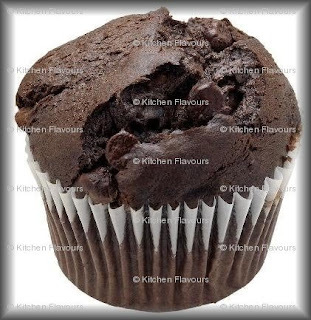 This time our 'health nut but chocolate loving Lady' has done a beautiful write up on the 'evils' of packaged food which drove her to make her own healthy and tasty chocolate pudding for her daughter from Alton Brown's recipe! A look....or a lick? 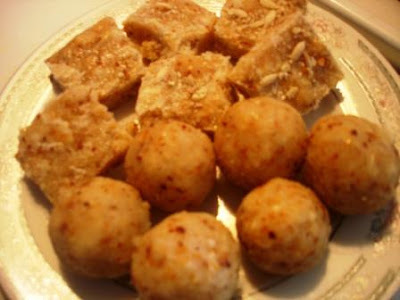 Bhawna of 'From my Palate' made 'Makhane aur Beej ki Mithai' - I haven't seen much of these and loved the recipe as it's delicious and new to me! 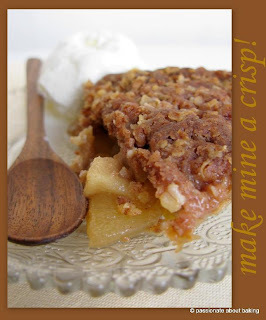 ......and if you have a sweet tooth try this. I have fed my kids with both the versions when they were little, and my older one likes the sweet version even now! Divya Kadua of 'Easy Cooking' has always been inspired by cookery shows. The Rajma Yam Masala she presents here is one such recipe from Lakshmi Nair's show. An usunual but interesting combination! 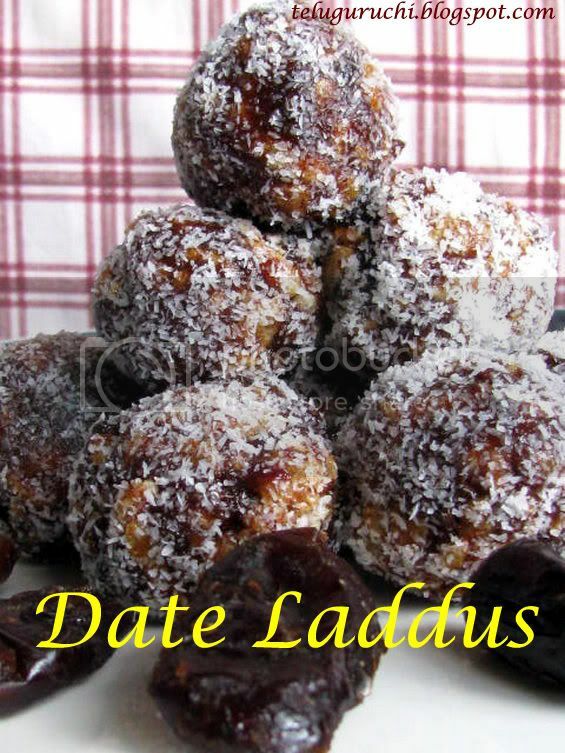 Jayasree of Experiments in Kailas Kitchen comes up with traditional athirasams. 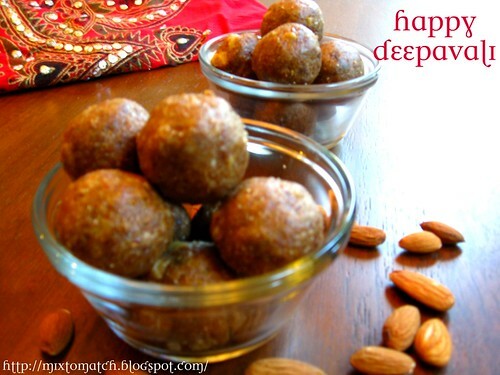 These are made usually at weddings and such functions but you can have them at home as this one is her Mom's recipe - has to taste great! 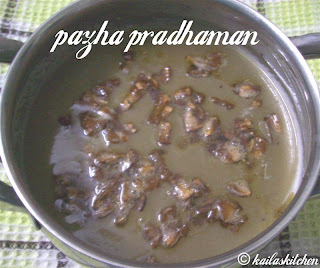 How about a pazha pradhaman - a flavorful mix of ripe bananas, jaggery and coconut milk - my dil goes droo....oo....oo....oool! Also from Jayasree. I had to jog her memory a bit to get these yummy dill flavored mosuru vade here from Lakshmi of Taste of Mysore! 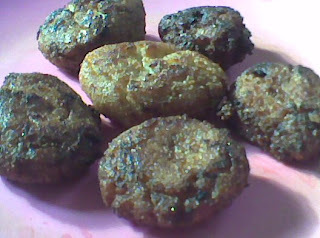 These completely remind of me of the vadais you get at Bangalore. 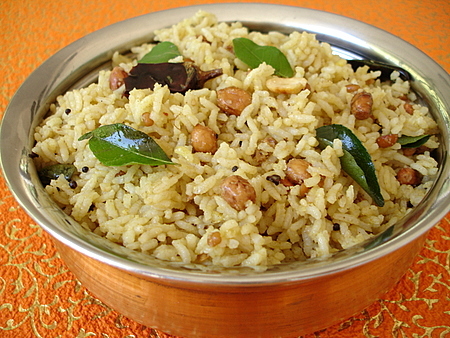 This style of flavoring is subtle, tasty and native to Karnataka. ............and a third one - this time the dishes are straight from the party table! 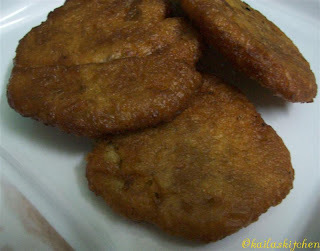 Enjoy these hot onion pakodas alongwith the payasam prepared by her friend:) Thanks Lakshmi! 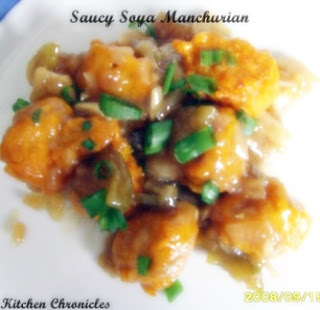 Power packed soya manchurians - Lipsmacking!! 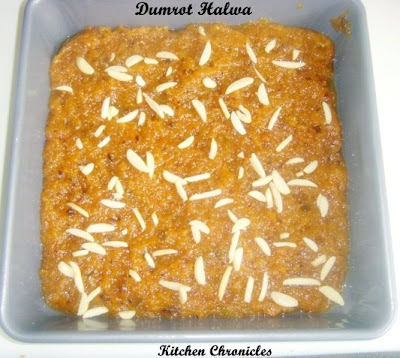 Lakshmi's Dumrot Halwa took me back to Bangalore Iyengar Bakery! If you haven't tasted dumrot, do try! Lubna of Yummy Food loves chocolate - why and how? Just gaze at this eggless chocolate icecream :). Doesn't that speak volumes! She also baked eggless chocolate brownies just for me - lucky, am I not? Don't worry - I am sharing it with all of you:) I can't have you gaping while I sink my teeth into that choco chip trench!! 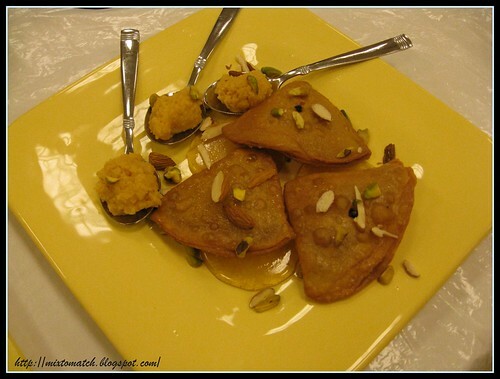 Lubna, my azeez friend, also presents these lazeez double ka meetha:). Try resisting them! Bet you can't! Mahimaa has just shifted to a new place, and you know what she does to keep herself from feeling lonely? Well, she dishes out delicacies. Are you ready for this Indian Fast Food? 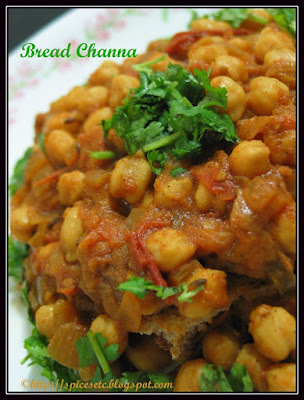 Presenting 'Bread Chana'. 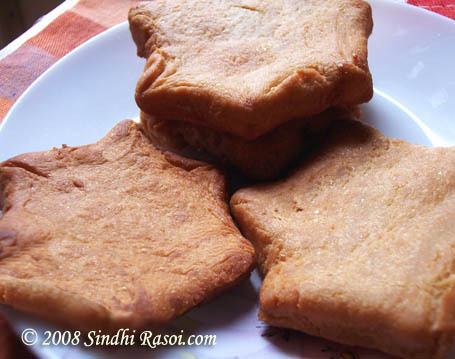 Meera wants us to Enjoy Indian Food, and she tempts you with a delicacy from Khambat - Halwasan! Nidhi of Sizzling Bites offers some really tempting sizzling bites. 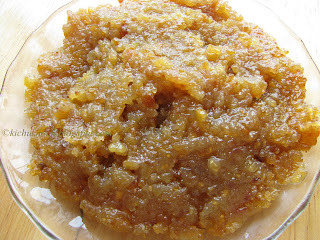 Rains or no rains, we do not require an excuse to have a hot plateful of moong ke mangode! Would you resist? 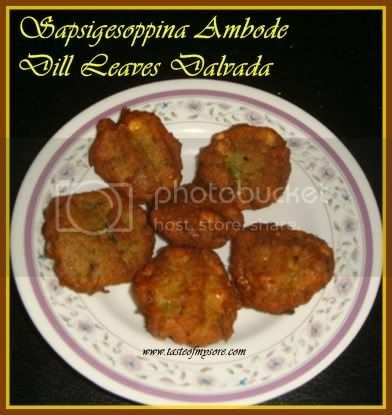 Karela chips - If you are a bitter gourd lover like my daughter, this will be a favourite dish! Vegan Choco Almond Shake - Want some guilt free energy? 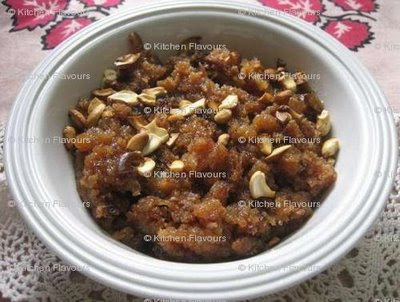 Radhika of Tickling Palates sent in two tasty and different sweet dishes - both learnt from her friends. 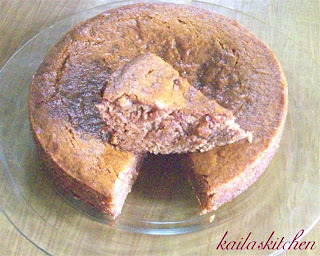 Karjikkai - Made in Coorg style this one may look familiar but has a different filling. 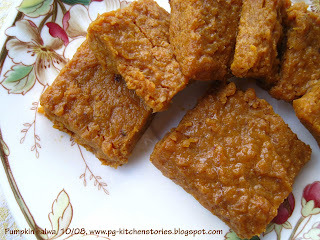 Naanu-Maanu - A cute name and a tasty sweet from Orissa! 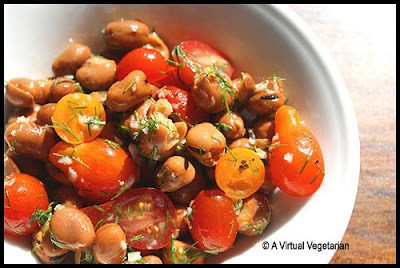 Rupa - the Virtual Vegetarian ushers in some Mediterranean flavors with a tasty side dish bursting with colors - Brown Beans with Herbs. 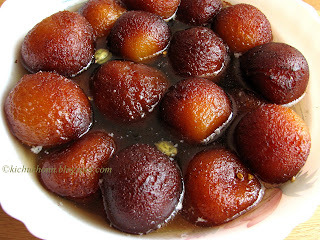 Sharmila makes these lovely quick plump gulab jamuns - sigh....this used to be my favourite sweet!! Shreya of Mom's Cooking celebrated Diwali with Mehendi, sweets and savouries. 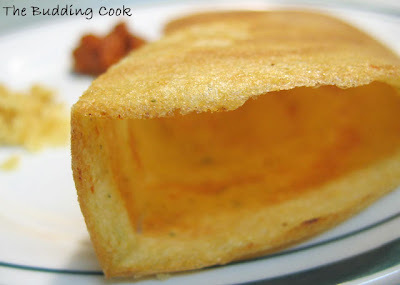 Here are the delightful results - Murukku, and Unni Appam - yummmm! 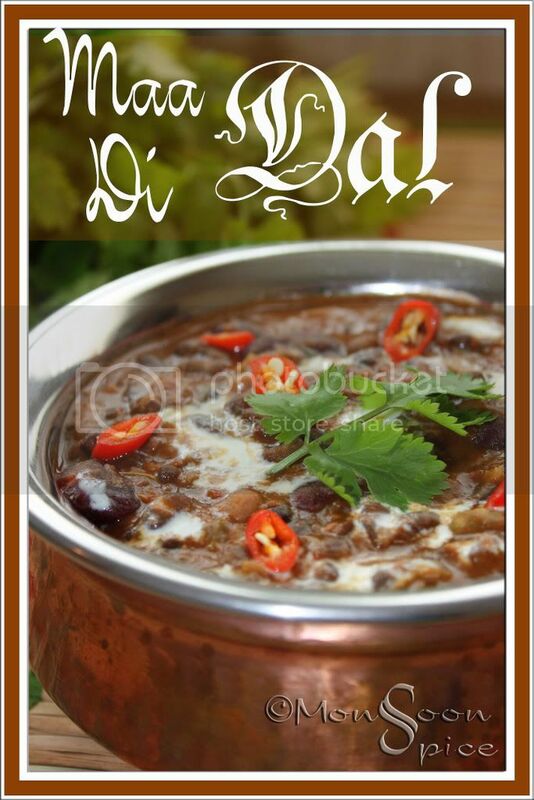 Sia of Monsoon Spice spices up the brown parade with a creamy and sumptuous 'Maa Di Daal'. Sireesha of Mom's recipes sent in some low cal baked veg rolls - a tasty appetizer that may end up a meal by itself! Soma of e-curry made some stuffed pears - all spiced up and ready to be devoured! Sushma of Savi-ruchi is first time on FIC - Welcome! Check out her step by step recipe for this vegan paradi payasam (Kheer prepared with rice, jaggery and coconut milk). 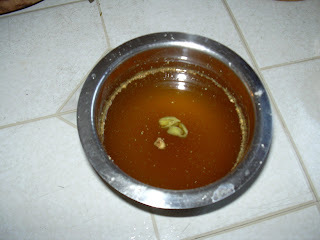 Sushma also presents the Mangalorean delicacy - Golibaje. Some how I seem to hum 'Oh goli taaro...goli baje, goli baje.....' instead of dhol baje, from 'Hum Dil De Chuke Sanam':) But its true - I am fida over this bajji! Sweatha of Tasty Curry Leaf too had a double offer this time: Delicate lace cookies and decadent brownies - better scrape the bottom of the dish and enjoy the brownies - the recipe promises to taste great! Not a fitting name, but she insists on calling herself 'The budding cook', and then serves some professional looking crisp, perfect adais!! Does she sound like a budding cook at all??? Welcome to FIC, Ujwal! 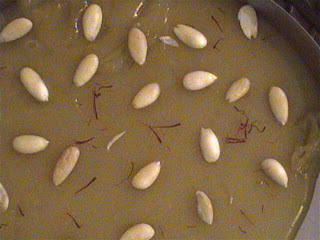 Ujwal's Kitchen is a lab, and brings in the flavors of Navratri - the decorations and the festivities that go with Ayudha Pooja when she prepared this rava payasam. The USP? 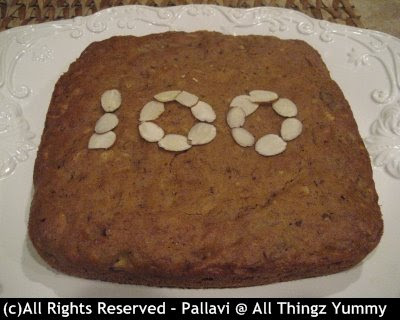 the payasam is made with coconut milk and jaggery, and it is vegan! .....and Malpuris from "Oota Upahara" by Jaya V. Shenoy. Uma from Essence of Andhra loves pickles and chutneys! 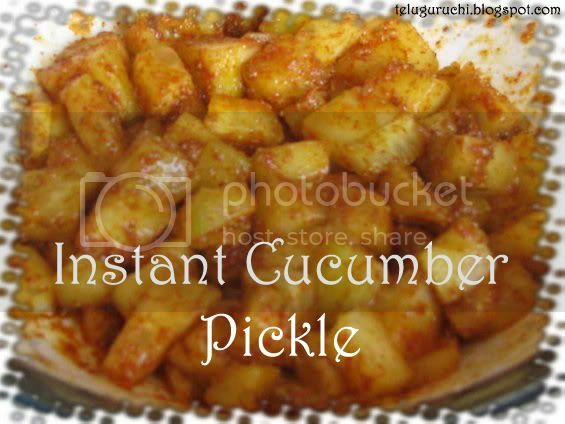 This time she has sent in some hot and tangy cucumber pickle - how about having that with some steaming hot rice? Vaishali of Holy Cow! 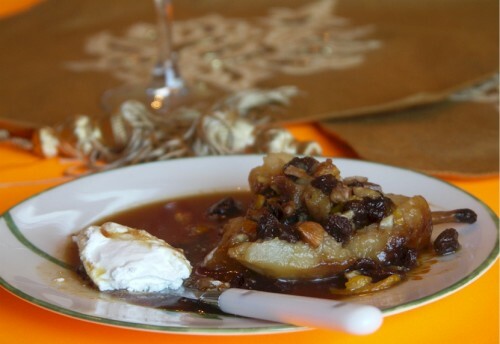 presents a sweet vegan dessert - a tarte tatin! This promises to tantalize those taste buds and gives some wings to my imagination;)! Sambar with rasam and potato bhaji! Vandy of 'Vandy's Culinary Adventures' takes us on a traditional trail with her delicious gulgules. She says these are a must for 'Karva Chauth' - an annual fast observed in North India. 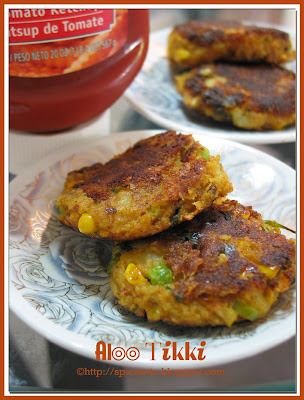 Vidhya of My Recipes is on FIC for the first time - Welcome Vidhya. I am glad to have 'panakam' - a delicious vegan coolant and a tasty 'naivedyam' (offering to Gods) here. Panakam in extreme South, panak in the Konkan Region, Panha in Maharashtra and Panna in the North. 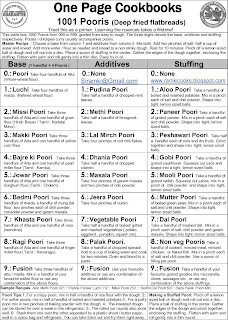 I am not giving any recipe links as the internet is flooded with many versions! Hope this round up fires up your ovens, and gas tops as it is doing mine!! Don't forget 'Purple and Black'. If there are any omissions do leave a comment so I can get back and rectify.